Are you looking to take the leap into living the van life? Do you want to go travelling in a van, or maybe you’re still in the early stages of your camper conversion? There are lots of amazing van life ideas to be taken from Van Life Instagram accounts and Vanlife Blogs, but sometimes it’s hard to pick out specific information about certain products and useful gear that your favourite van life influencers use on a day to day basis. Never fear, readers, for we have spoken to some of the most influential vandwellers on the planet and found out what van life essentials they cannot live without. Whether you’re a weekend warrior or a full time off grid living aficionado, we’ve got twenty-three must-have items, features and products that you should consider implementing into your build. From diesel heaters to trusty sweeping brushes, our list will help you on your way to van life greatness, and also give you an insight into the minds of some of your favourite van life influencers. So, without further ado, let’s take a look at the greatest list of products known to humankind! We’ve been following Mars, Ash and Everly for a while now and always enjoy seeing what they get up to on their adventures. 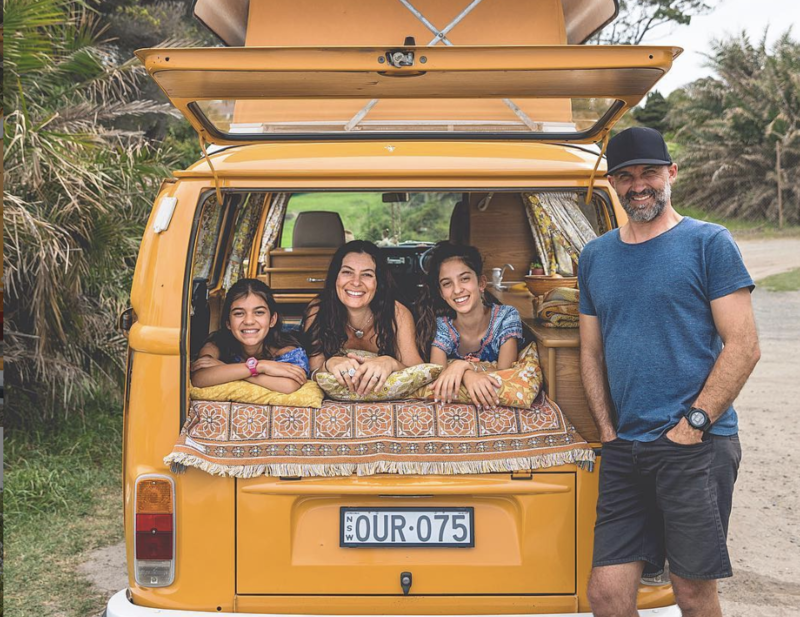 When we got in touch to ask about the items that they can’t live without, these well-known van life influencers listed two products that are very close to every vanlifers heart. In the alternative living world, a sink isn’t just a place where you wash up your pots. It’s a one-stop shop for cleaning everything inside your van (including yourself!) The fires carry a whopping six gallons of water with them in their ford transit camper and could easily end up using more! They use water for drinking, making tea and coffee, washing dishes, washing, and washing their hair when they don’t want to fuss about with the solar shower. Whether you choose a spacious sink that’s big enough to clean your cat in or a small one that’s just right or soaking veg, picking the right sink is an integral part of your build. I picked up a baby Belfast sink for my conversion, but not everyone wants something so big. Check out the link below to find a nifty little unit that will do the job properly without costing the earth. If you’re going to get a fridge in your camper (and I suggest that you do! ), then you might as well get the very best. I tried using a standard tabletop fridge when I first completed my conversion, and it ate up all of the battery power quicker than my girlfriend eats a bag of crisps. 12V refrigerators consume so little power that you’ll hardly know they’re on, and they’re incredibly quiet too. Many Dometic fridges come with a freezer compartment for keeping ice cream and fish fingers nice and chilly on the go. Check out the link below to purchase one on Amazon, but be warned; they don’t come cheap! Think of the purchase as an investment; I’ve had mine for over 16 months now, and it’s run like clockwork every day! Katie @soweboughtavan is a solo female vanlifer who has proven to be an inspiration for wanderlust seekers around the world. She lives and works remotely in her self converted sprinter, and is living proof that hard work and determination pays off. Her adventures around The United States make us very jealous, and her favourite item might also make you jealous if you don’t have one! You might start off with ideas of heading into the woods in the dead of night to do your business, but the first time you open your sliding door to find wind, rain, and bears lurking around the outside of your van you’re going to wish that you put a toilet in it. A lot of vanlifers tend to hop between supermarkets and service station toilets, but when you’ve got to go, you’ve got to go! The Thetford Porta Potti Qube 365 toilet is a small unit that is loved by vandwellers all over the globe. It’s easy to fill and empty, and keeps smells locked up thanks to a sealed chamber in the bottom. Check out the link above to grab yours. 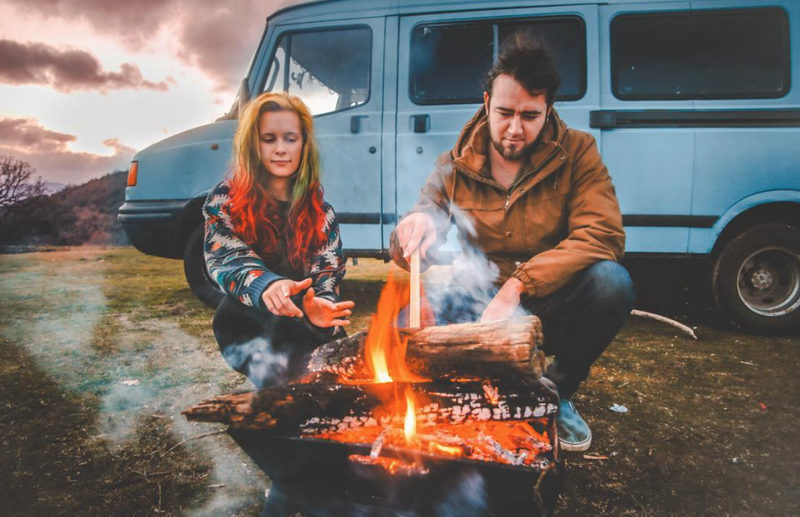 Next on our van life influencers list is Theo and Bee from @theindieprojects, perhaps best known for their incredible van tours and documentaries about all things alternative living. 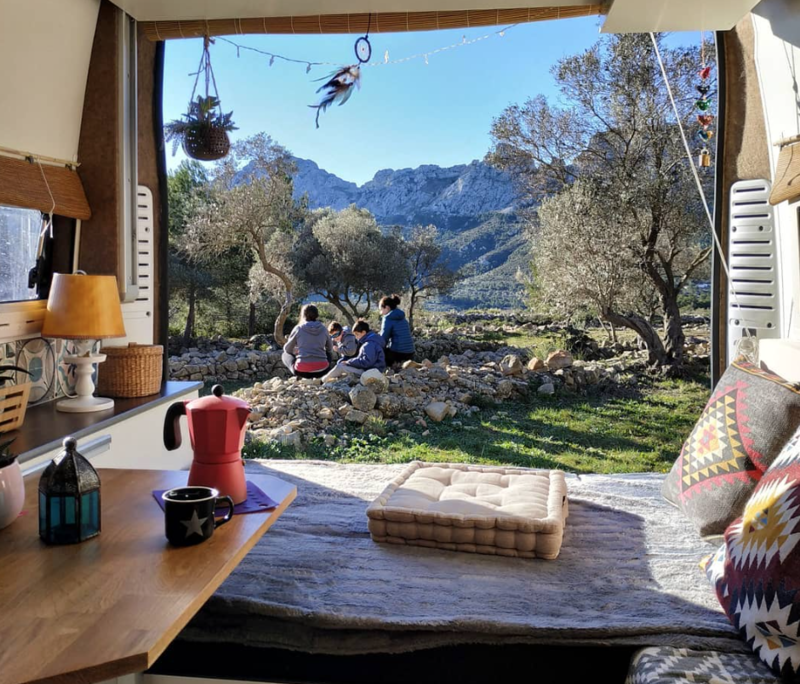 They’re currently living on their homestead in Portugal in their self converted Mercedes Sprinter, and didn’t hesitate when we asked them to think about their favourite item in their van. Evenings still get cold in Portugal, and it’s not uncommon to see frost on the ground on chilly winter mornings. A diesel heater is an excellent way of keeping your camper toasty on cold days, and you can set them to come on at certain times throughout the day/night to maintain an even temperature. Some heaters even come with a remote so that you can control them from bed! Diesel heaters use the fuel in your vehicle’s tank, so you don’t have to worry about blowing through all of your expensive gas that you use to cook with when you’re feeling a little bit cold. They also produce a drier heat that doesn’t create as much condensation. Diesel heaters come in a variety of different power ratings and prices. You can get a perfectly good 2KW heater for around £450 online, but if you want to go the whole hog, then you should look into a Webasto heater with multiple outlets. Not only will it hep to keep your van aired in numerous places, but you could also use it to keep your mattress nice and toasty too! Click the link above to view a DIY kit. Keeping clean on the go doesn’t have to be tough; it’s straightforward if you have the right tools, and if you’re in a hot country then a solar shower is the perfect way to get a good wash in the wilderness. Simply fill it full of water and hang it from a tree. The sun warms the water in the bag (and it gets boiling if left out for a long time! ), leaving you to shower while looking out over mountains and forest glades. If the weather is a bit dismal then we just usually warm the water up in a kettle and pour it back in, and we’ve used water from lakes, rivers, and our own supply to wash down after a long day at the beach or on the trail. A camper shower is an essential bit of kit that every traveller should own. 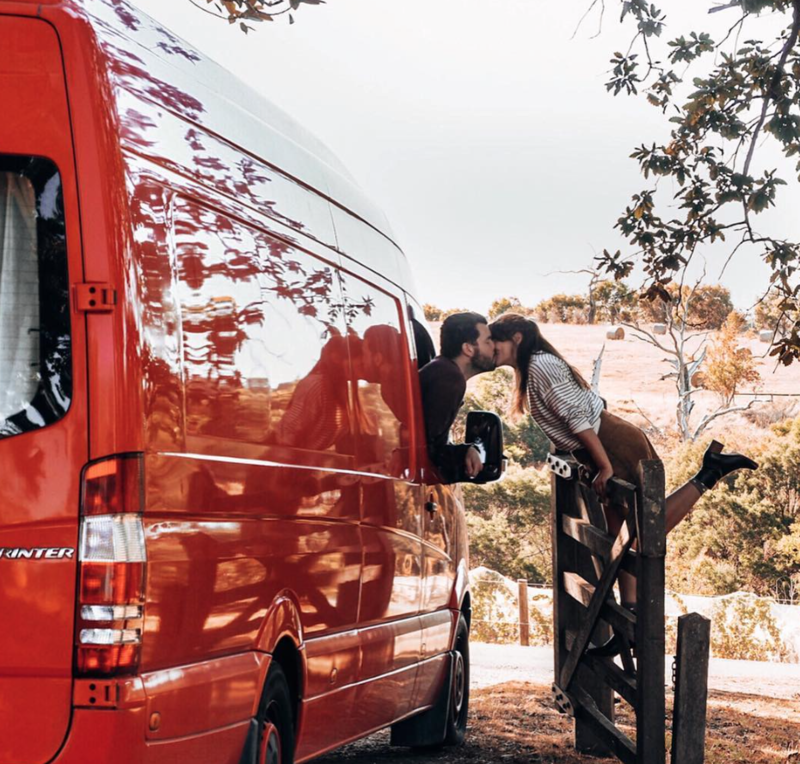 Next up on our van life influencers list is Bec and Gary @wewhoroam, one of our favourite Australian couples and owners of a big red van that should come with a wanderlust warning on the bonnet! Their adventures take them far and wide over one of the most amazing countries in the world, and they have two must-have items for you that you should definitely consider building into your own van. If you think that you don’t need any ventilation in your van, then you are sorely mistaken, especially if you’re planning on building a supreme stealth sprinter van. Roof vents are great for keeping your camper cool in hot climates and drawing fresh air into your tiny home. What’s more, they also help when you’re wanting to get cooking smells and steam out of your van without opening all of your windows and doors. Roof vents and fans come in a variety of different sizes, but for this list, we’re going to share the one that Bec and Gary use and swear by. 7. Velcro Bug Screen – Take that Mosquitos! Mosquitos are the most annoying creatures on earth, and if you get bitten multiple times as my girlfriend did recently (I counted seventy-two on her back! ), then it can seriously but a downer on your holiday plans. Bug screens might not be the first item that you think van life influencers would be passionate about, but speaking from experience, I know that we’d be lost without ours. Let fresh air in and leave the bugs outside where they belong. Check out this easy to use bug screen kit from Amazon. 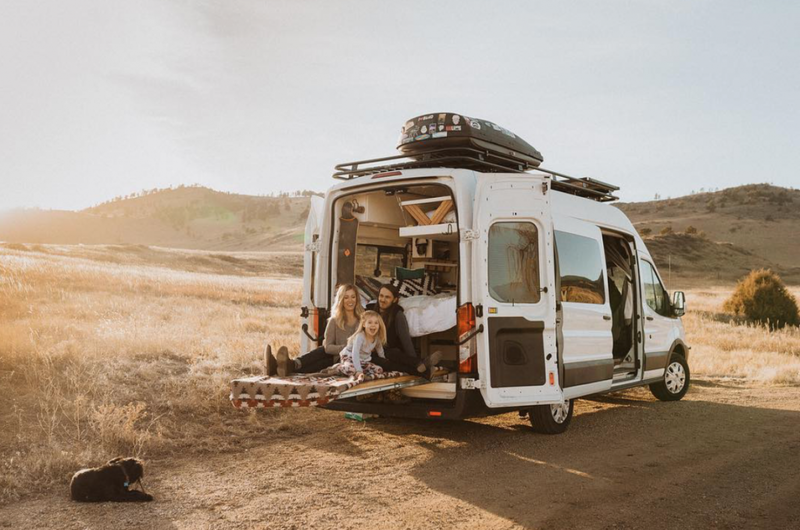 You may have seen our article about the adventure bus that’s taking Instagram by storm, and its owners are also making a name for themselves in the van life world. 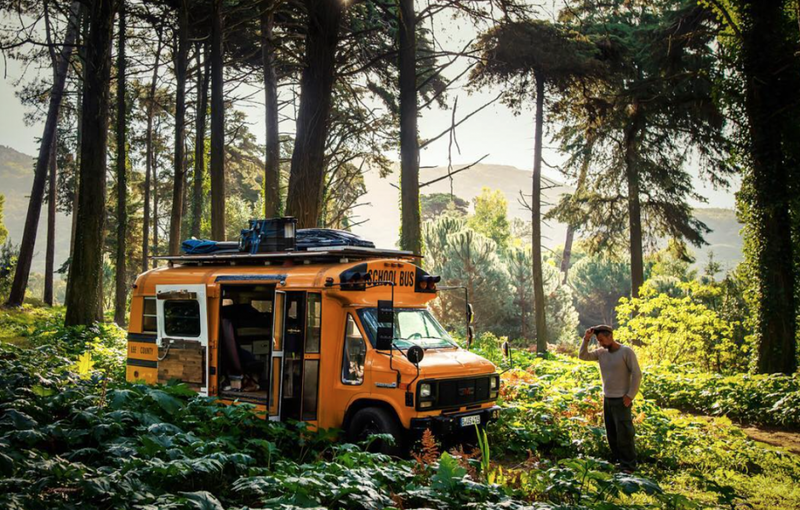 Meet Kai and Julie from @wetravelbybus, exploring the world in their converted school bus and documenting their adventures for the world to drool over. If you like your campfires or rely on a wood burning stove, then this next item on our van life influencers list will be right up your street! They’re one of the most laid back vandwellers we know. Looking a little bit like a weapon from Game Of Thrones, the Silky Zubat Saw is an excellent piece of kit for anyone who loves an off grid adventure. Easy to hold and small enough to stow away in the boot of your camper, this saw cuts through wood like a knife through butter, and doesn’t leave you with sore arms the day after. The ergonomic handle is easy to grip, and it even comes with its own scabbard for extra protection. Check out the link above for more info and to purchase one for yourself! Next up on our van life influencers list is @buscation. 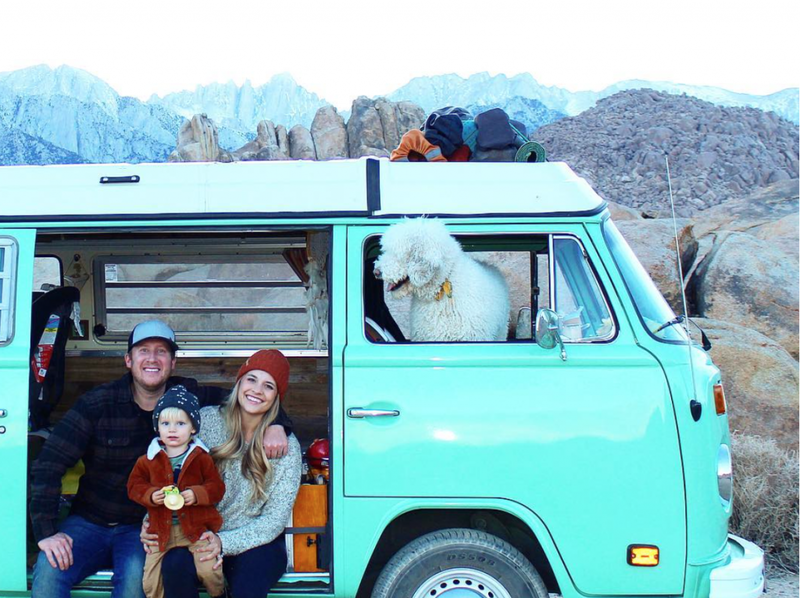 This pop-topspin SoCal family travel America in their ’77 VW Bus, searching for adventure and a life that is far from ordinary. We approached them about their favourite van life item, and they came back with one of the most useful and practical items that I have ever seen! If you’re low on storage space or like to cook outdoors regularly, then the Bugaboo Camper set is the perfect item for your next adventure. Comprising of multiple pans, bowls, plates and lids that stack into each other for transport and storage, this quirky camping set definitely comes under the heading of top cooking accessories. Teflon coated and incredibly durable, the Bugaboo is a complete cooking solution that caters for the entire family. Click the link above to check out the Bugaboo in greater detail and to make a purchase! Ben is one of our all-time favourite van life influencers, and when you look at his pictures, it’s not hard to see why. Ben captures the incredible French countryside better than anyone that we’ve ever seen, and he does it all from his stunning camper, Poppy. We asked Ben what the most useful item in his van is, and his answer might surprise you. 10. Floor Brush – Say goodbye to crumbs! Ben’s favourite piece isn’t just any old brush; it’s a vintage sixty-year-old brush that he uses to lovingly seep his beloved camper and keep his rolling home clean. Tiny homes can get dirty very quickly, so it’s essential to have the proper cleaning tools on board to make sure that your space is nice and neat. There’s nothing worse than coming back to your house after a long day in the wild to find it messy, and sweeping the floor is a quick and simple way to keep things looking spick and span. You don’t have to spend the earth on a sweeping brush, and you might not be lucky enough to have a trusty broom like Ben, but here’s a link to a nice looking brush that you could easily hang on your wall and make a feature out of in your kitchen or living area. An apple a day keeps the doctor away, but it also does a lot more than that. Implementing a fruit bowl into your van build instantly makes it feel a lot more homely and inviting. It stops your precious fruits from getting bruised, and having healthy snacks out on the table means you’re less likely to dive into the biscuit tin or chomp down a multipack of crisps to yourself. @summerofseventyfive use a non-slip mat under their fruit bowl to stop it from flying off while driving, but if you don’t have enough room for a bowl then you could always use a fruit hammock! We bought one of these from amazon and store all of our apples and oranges in it. It hangs from the kitchen wall and leaves more worktop space for preparing food etc. Check out the link below to find out more! 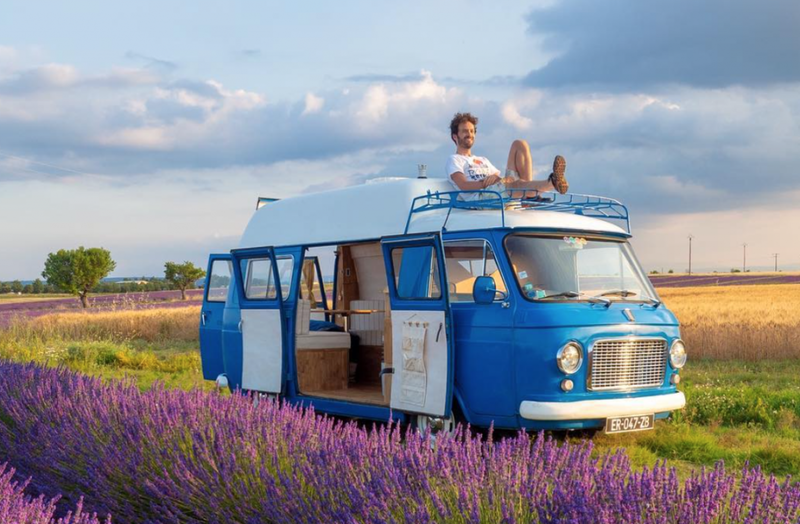 The first of two of our favourite U.K van life influencers, David and Nadia from @sayingyesis have wowed alternative living lovers all over the globe with their incredible Volkswagen Bus Camper. They’ve been saying yes to life and travelling for the past five years, and are firm believers in living life to the full. We asked them for their favourite van life item, and they didn’t disappoint. The goal zero great bit of kit for any digital nomad who loves spending time in the outdoors, and it’s also a brilliant option for any vandwellers who don’t have solar or an inverter in their vans. This fume free generator can be charged up via portable solar panels in 17 hours or filled up from a wall socket in just 6 hours, and provides two recharges to a standard laptop and multiple recharges of your phones and tablets. You can use it indoors or outdoors, and its lightweight design makes it incredibly portable. Check out the link above to buy yours! 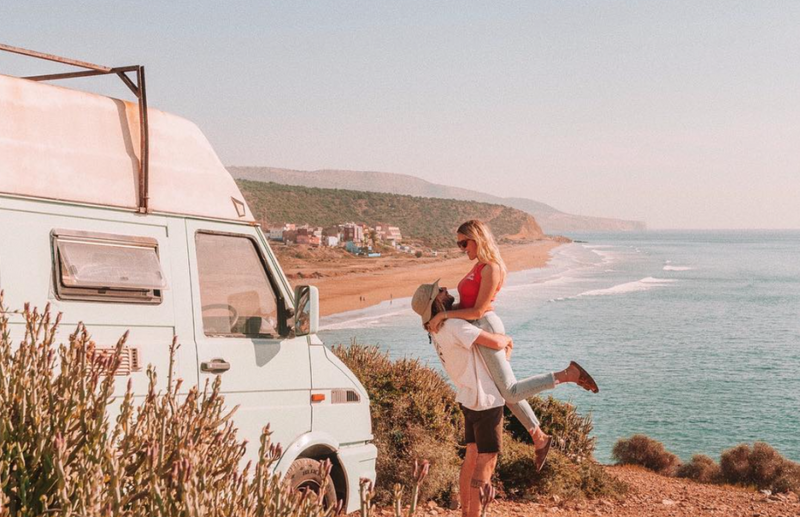 Our second U.K Van life influencers have also gone down the portable power route, and they use their chosen item in some of the sunniest places in the world. Matt and Steph from @slownsteadylivin have an incredible Instagram feed filled with amazing pictures of their travels around the world. They spend a lot of time in Morocco and Portugal over the winter months, and their chosen product allows them to spend a lot of time living off the grid and off the beaten track. Can you guess what it might be? 13. Solar Panels Means Power! Arguably one of the most critical factors to think about when building your camper, solar panels allow you to charge up your leisure batteries on the go and give the ability to stay in remote places without having to bring the worlds longest extension cable with you. Solar panels come in a variety of sizes and power ratings, so it’s a good idea to do your calculations before purchasing to see what size you’ll need (check out our How To Build A Camper e-book in our shop for help!). I’m writing this article in Spain, and so far today I’ve charged up an iPad, my laptop, two phones and a torch using solar energy! Check out the link above to see the panels that I use every day. You may have read the guest article that Margaret and Ladi from @curlyhaircamping wrote for us recently on full time van life, or you may have seen them on our Facebook page recently. 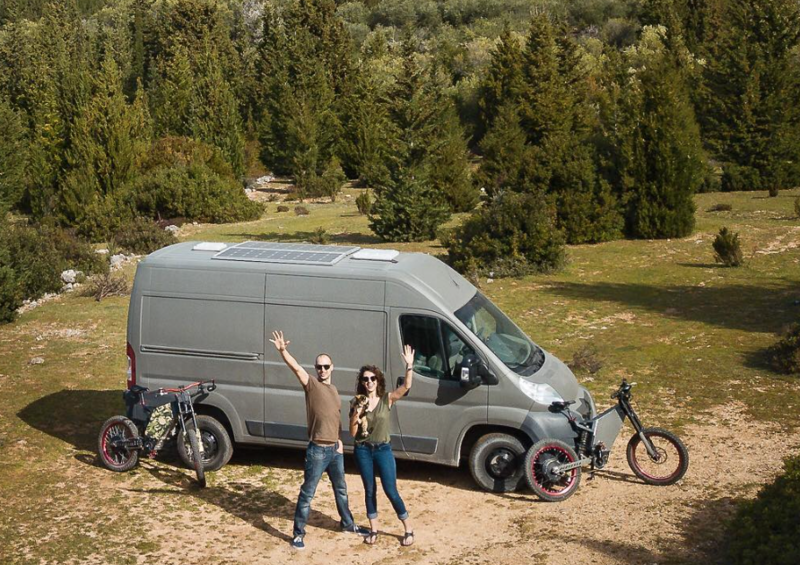 Either way, they are two of our favourite van life influencers on the road today, and they have created a super stealthy rolling home with all of the mod-cons that you might need to live comfortably while travelling full time. 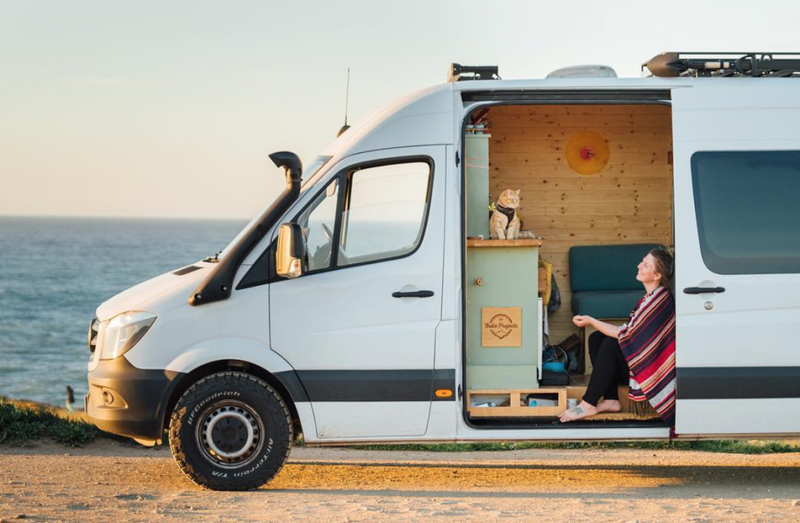 Their Mercedes Sprinter stealth camper van is an excellent example of how self-builds are the best vehicles to take on long adventures, and their travels around Europe are enough to inspire anyone to hand in their notice and head out on the road. 14. Small Projector For TV and Gaming Shenanigans! If you get the battery power inside your van right, then there’s no reason why you cant have super fancy tech like a projector in your build. @curlyhaircamping use a 720P projector mounted to the roof to watch films inside their van, and it also has a built in speaker that gives out quality sound too. It’s a great idea if you don’t want a large TV sticking out from your wall and a cool feature to impress your mates. Check out the link below to get you own van life projector. If you use your phone as a sat nav or like to FaceTime while cooking, then a magnetic phone holder should be one of the items that you take away from this van life influencers product list. It’s probably one of the cheapest additions to this article too! @curlyhaircamping have five phone holders in their van and they absolutely swear by them. Check out the link below to grab one for yourself! Lex has been a firm supported of Van Clan from the begining, and we’ve thoroughly enjoyed following her adventures in her converted school bus, Lola. 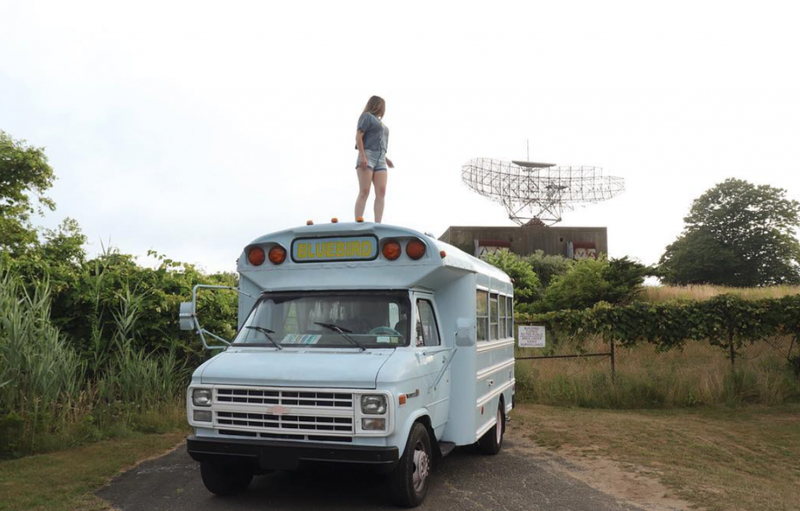 Creating handmade goods for her Etsy store, Lex lives and works in her beloved bus in New York and proves that home really is wherever you park it. 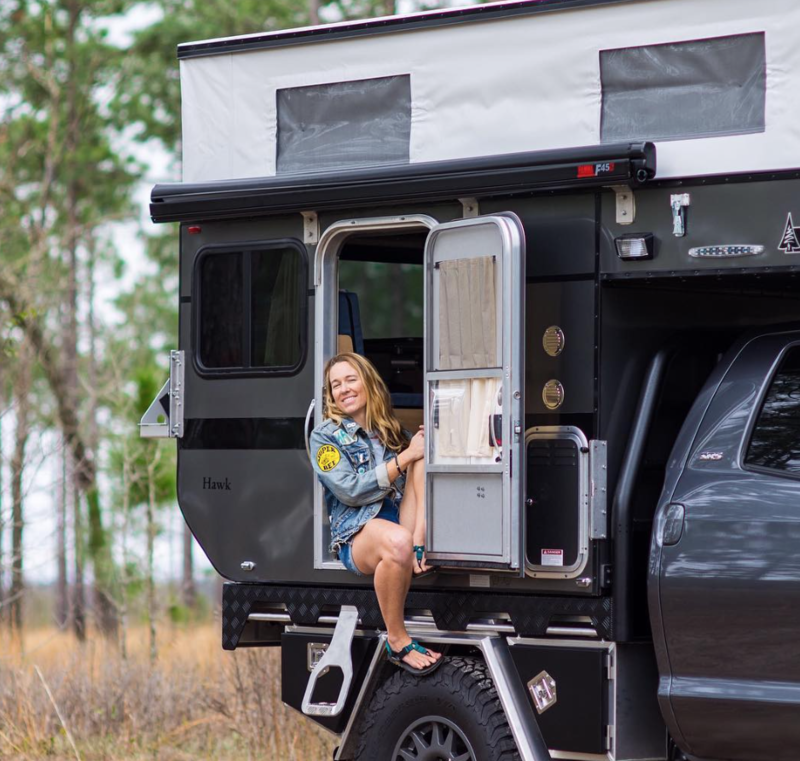 We asked her what item she loves the most in her hand-built home, and after deciding that one just wasn’t enough Lex gave us her top three items for our van life influencers product list. Check them out below. Another small and super useful generator to make life on the road the little bit easier. This fuel efficient and portable power station gives 1’600 watts of clean electricity for powering all your expensive items on the go. At under 59 decibels its also one of the quietest generators that we;ve ever come across too, making it perfect for using on the campsite or in the middle of the city. Dutch ovens are a great product for cooking on the go, especially if you’re a fan of preparing meals on a campfire. If your van doesn’t have the space to fit a gas oven inside, then the Camp Chef Oven could be a great alternative. It’s perfect for making stews, pies, and casseroles, and it’s so sturdy that you could probably pass it on to your children and your children’s children. Click the link below to grab a Camp Chef Oven of your own. Lex also loves her GasOne stove top, the portable butane burner that she does all of her cooking on. Gas burners are super easy to use and an essential bit of kit for off grid survival. Twinned with the Camp Chef Oven you have everything that you could possibly need to whip up a hearty winter stew on any day of the year. Check out the link below for more information. Frank and Selina @pinepins have also been long-time Van Clan supporters and are some of the nicest van life influencers that you might ever have the pleasure of meeting. They travel around Germany, showing the delights of the Black Forest and beyond to their ever growing Instagram community. Their little VW Bus has definitely seen some incredible sights, but what is the most useful item that Frank and Selina have stored inside it? If you live in a small space then the last thing you want to be doing is drying wet towels. They get in the way and up dripping on your seats and floors. Microfibre towels are a great solution for drying off after a dip in a lake or a shower in the forest. They dry incredibly fast and roll up so small that you could fit them in a coat pocket. We’ve seen a lot of surfers wearing microfibre poncho towels while we’ve been travelling around Portugal and Spain, and although we don’t wear ours after surfing you can stick them on when you get out of the sea and you’re dry by the time you get back to the van! Click above to check the microfibre towels that Pine Pins love! Representing the U.K in a rustic hand built home are our good friends @fromrusttoroadtrip. They’re no strangers to life on the road, and know a thing or two about essential items that you should take with you on the road. After transforming a rusty LDV Convoy, Lucy and Ben have been all over the British Isles in search of adventure, and they’re two of the hardest working van life influencers around. Let’s see what they take with them on their trips! 20. Wet Wipes – The item every van lifer needs… seriously. The saving grace of travellers everywhere. Wet wipes might not be the most eco-friendly products in the world, but they’re certainly useful for keeping clean on the go. If you’re running low on water or just want as quick freshen up, then wet wipes are a key essential item that you should always make sure you have stowed away in a drawer. You can pick them up for about 60p at Aldi, so stock up before you head out on your next journey. Just remember to use them sparingly and dispose of them properly if you’re planning on using them in the great outdoors. Check the link below to get a bumper pack from Amazon. 21. Levelling Ramps – No more sleeping on a hill! Our van life influencers know what it means to camp in the wild, and more often than not the wilderness isn’t flat and smooth like an Intermarche car park. Levelling ramps are super useful when you park up on rocky ground; there’s nothing worse than having a terrible nights sleep because you’re bunched up in a ball at one side of your bed, or when you jump down from your mattress and end up running straight into the sink because you’re on such a slope. Levelling ramps come in a variety of different sizes, strengths and materials, so double check which ones are suitable for your van before you purchase. Check out the link below to see the levelling ramps we have in the back of our tiny home. If you’re looking for an Instagram account with a strong family vibe, then @nomadic_van has everything that you could ask for and more. Their super cosy home on wheels will leave you searching the web for affordable tiny homes all day long, and the places that they visit on their travels are guaranteed to give you itchy feet. We asked these sun soaking van life influencers what their favourite item in their van was, and they came back with one of the cleverest van life ideas in this entire list. What do you do if you travel with a big family but don’t want all of your space to be filled up by a bed? You create a hanging bed that comes down from the ceiling of course! 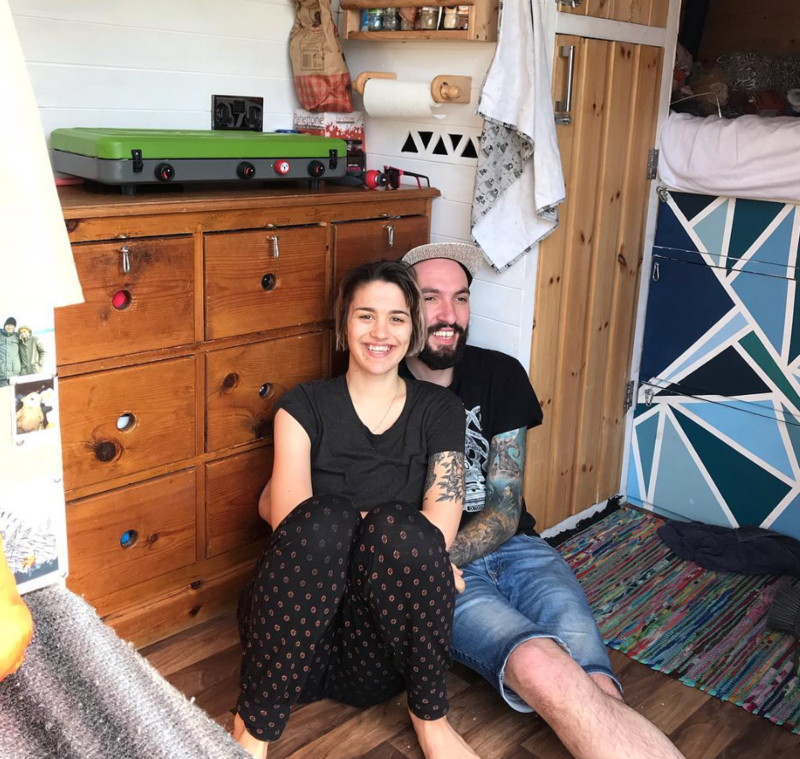 @nomadic_van have a bed that hangs down and can be stored back against the roof of their living area to maximise the space in their tiny house. They can move around freely without stooping or banging into anything, and when it’s time for bed the mattress and fixings hang down from the roof and provide a comfortable nights sleep! While this isn’t something that you can purchase from Amazon or any other website, there are tonnes of informative sites on the web about how to implement a hanging bed into your build. Have a browse and let us know what you find! 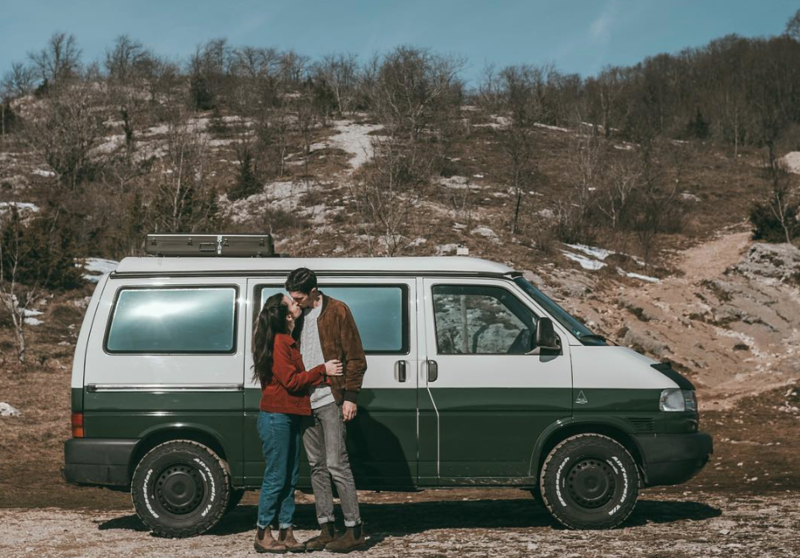 Last but by no means least on our van life influencers list are Mak and Owen @bound.for.nowhere, and if nowhere looks as good as the places that they visit then we want to be there too! 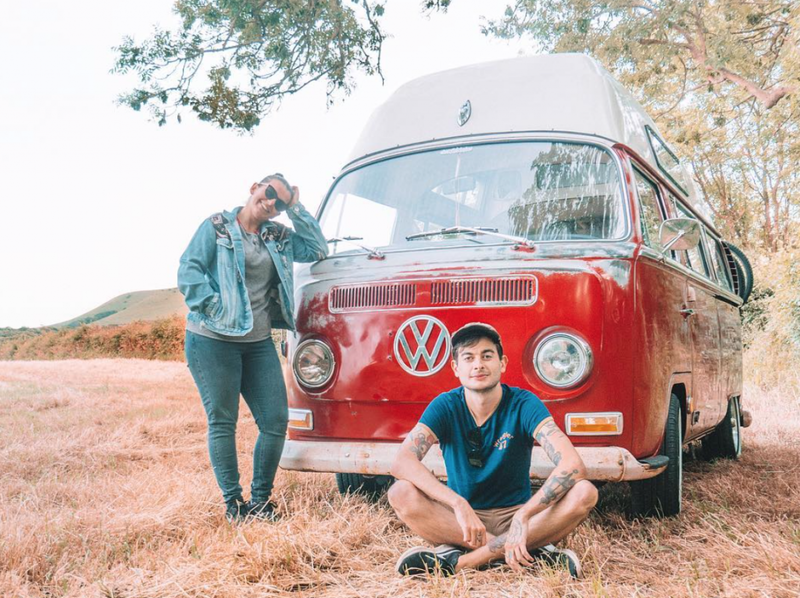 Freelance designers and creators, they’ve been living the vanlife full time since 2016 and heading nowhere in particular ever since. As two of our favourite wandering van life influencers, we asked them what item they simply can’t live without, and it turns out they love food just as much as I do! Oh, and their new Four Wheel Campers rig, is beautiful! This large skillet is super easy to clean and eliminates the need for any other pans in your cooking arsenal. It’s great for anything from steak to scrambled tofu and a van life essential if you love your cooking. Fry, bake, sear and flambé your way to cooking greatness by purchasing a skillet from Amazon below! We’ve learnt a lot from our van life influencers throughout the course of this article; we know that they all like to eat as much as the Van Clan team do, they crave a tidy lifestyle, and they want to make sure that they’re never without power on the go. If you’re new to van life, then I hope that this extensive list of products will help you to prepare for your on adventures, and I hope that our friends and fellow travellers above will be able to give you some inspiration to make your dreams happen. Don’t forget to join us on Facebook, Twitter, and Instagram! Treat yourself to one of these fantastic campervan gifts. We’ve searched the internet for the best power banks money can buy. Are you looking for travel bikes for your next adventure? We’ve got ten of the best!